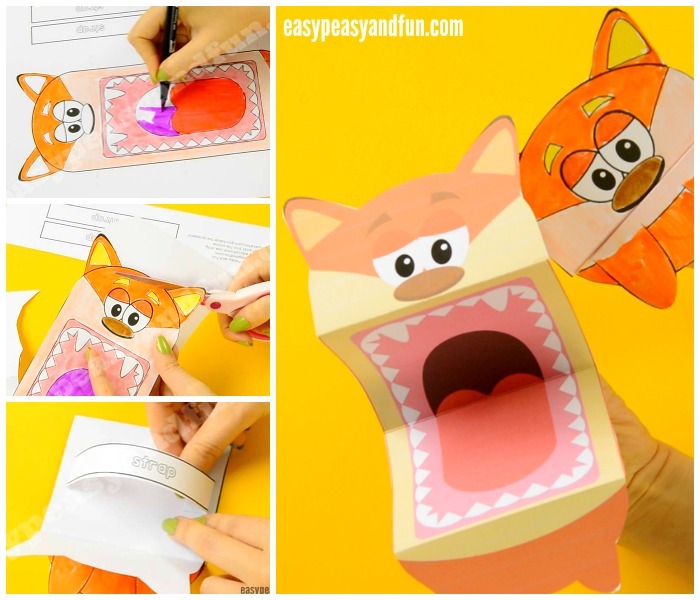 We have another wonderful fall printable puppet to share with you. Are you ready? 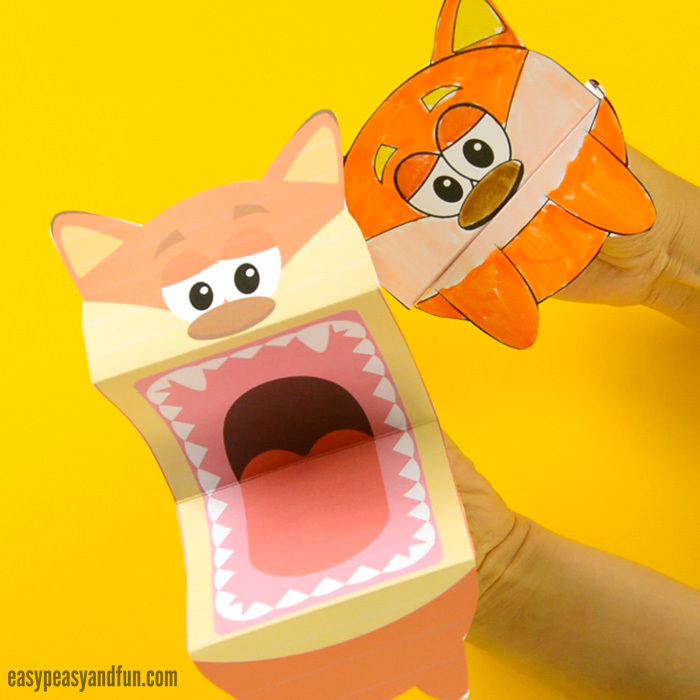 Let’s welcome these printable fox puppets into our collection. 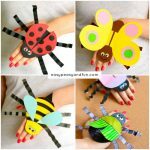 These are the second in the forest animals theme and we can’t wait to add them all. 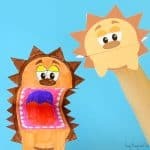 Is your printable hedgehog puppet feeling lonely? 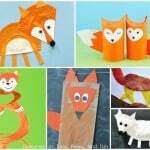 In need of a forest animal company? We’ve got it’s back with another forest animal dweller – the fox. Now while these two might not really get along in nature (we know they don’t) when it comes to pretend play, they could be the best of friends! 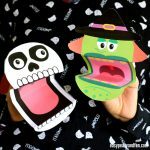 As with all other printable puppets in this series, these too come both in precolored and black and white version your kids (or you) can color and decorate however they see fit. 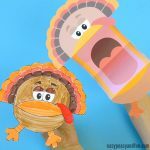 We are always rooting for glitter accents to make these puppets sparkly and shiny (recommending glitter glue). Ready to add these to your collection? Let’s make them. The template for these can be found at the end of the tutorial. Print out the template. 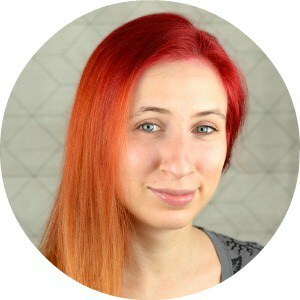 You can find it at the end of this tutorial. As with most of our printable templates, we do recommend printing on heavier print paper, but regular print paper will work as well. If you decide to go with our black and white template, it is best to color it in before you get to the cutting and assembling part. It can naturally be colored in later on to. Once all the pieces are colored and dry (if you used wet markers), cut out the strips. 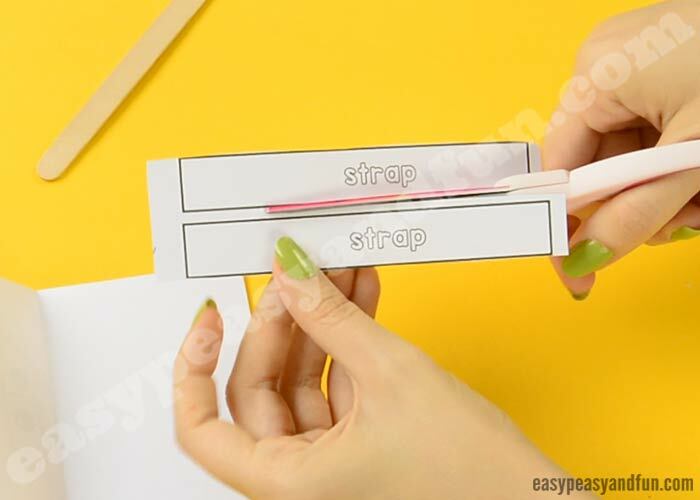 The length of the strips is arbitrary, if you need to make them shorter (smaller hands) cut them shorter, if you need to make them longer (larger hands) cut them longer. Before you cut the body, fold along the dashed lines. Now cut the body out too. Once the body is cut, reinforce the folds – make sure they are nice and crisp. We like to run a craft stick over the folds as this will really make them crisp. Fold in the middle, non colored side on the outside. Glue on straps. Let the glue dry. Slide in your hand and the puppet is ready to be played with. Wonderful isn’t it! 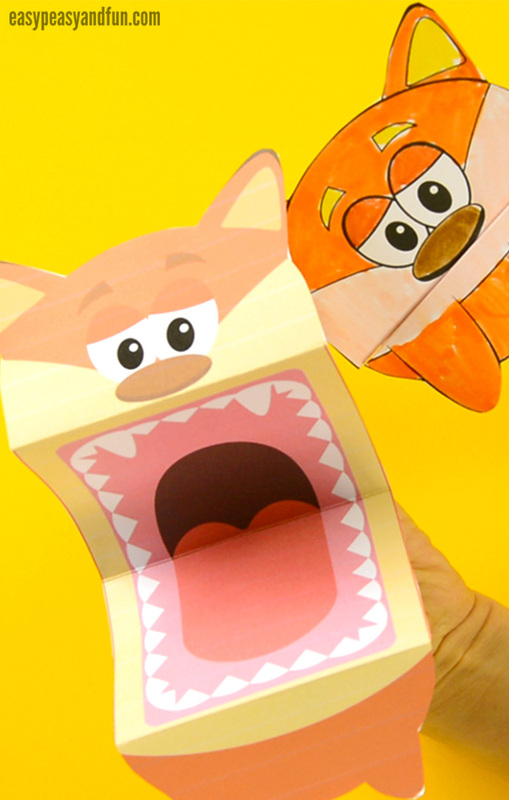 We sure do hope your printable fox puppets will be played with a lot. 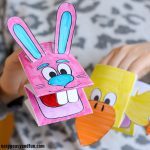 There are many imaginative scenarios that can happen with the help of these AND they sure will make story time a whole lot more fun. Colored yours already? We’d love to see it – snap a photo and tag us on Instagram @easypeasyandfun or use #easypeasyandfun – we are looking forward to seeing your lovely creations.